Barbados became independent in 1966. The first residence was a leased and furnished house called Leamington in St Peters. In 1969, an imposing house called Ben Mar, on an attractive site of 3 acres on Pine Hill, St Michael, was bought for £42,000. Ben Mar was built in 1927 in colonial style by a Barbadian merchant and stands opposite the residence of the Governor General: it has been slightly extended to improve its representational role. Offices for the high commission were taken in 1963 on a 21-year lease in the Barclays Bank International Building at 147/149 Roebuck Street, near the centre of Bridgetown. The Development Division moved to Carlisle House on Hincks Street on 5-year leases in 1967. By the early 1980s, the physical separation between the two offices was becoming difficult and parking was impossible. In 1984, a deal with a developer/investor, the Barbados Mutual Life Assurance Society, was agreed by which the Society would build combined new offices to Foreign Office specifications on a site that the Society owned at Lower Collymore Rock in St Michael, and would lease the completed building for ten years to the Foreign Office, who would have options to purchase after five years or to renew on expiry for another ten. The three-storey building, designed by in-house FCO architect David Chapman, was opened by Timothy Eggar, a junior minister in the FCO, in September 1987. The purchase option was exercised in [?]. The residence at 107 Calle Pedro Henriquez Urena was leased from the Dominican government from 1962 until the 1980s, when it moved to 2 Calle Primera, Terraza del Arroya. 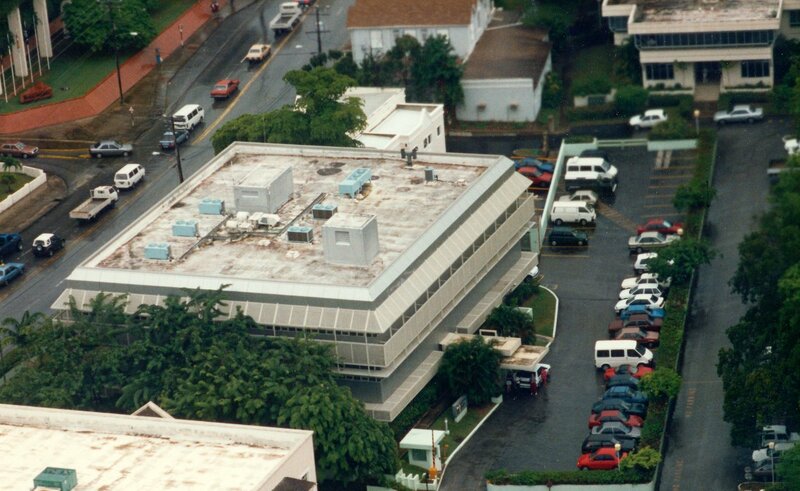 Offices were leased at 84 Avenida Independencia from 1960 until the 1980s, when they moved to 233 Avenida 27 de Febrero. A recently-completed house to serve as the residence for the British Government Representative to the West Indies Associated States was bought in 1967 for about £30,000. The representative’s deputy lived in Rafferty’s House (later called Shorelands), Vigie, bought in 1966 for £18,000. At that time the office was in George Gordon Building, Cadet Street, leased from 1966. When Saint Lucia became independent in 1979 the high commissioner took up residence in Shorelands. 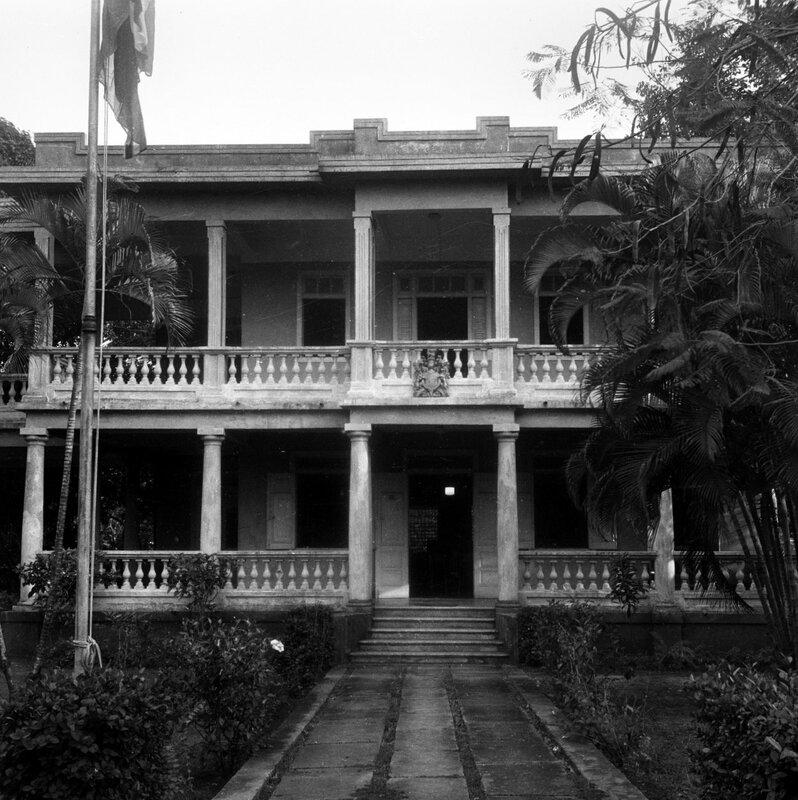 Santo Domingo residence entrance front, 1956. 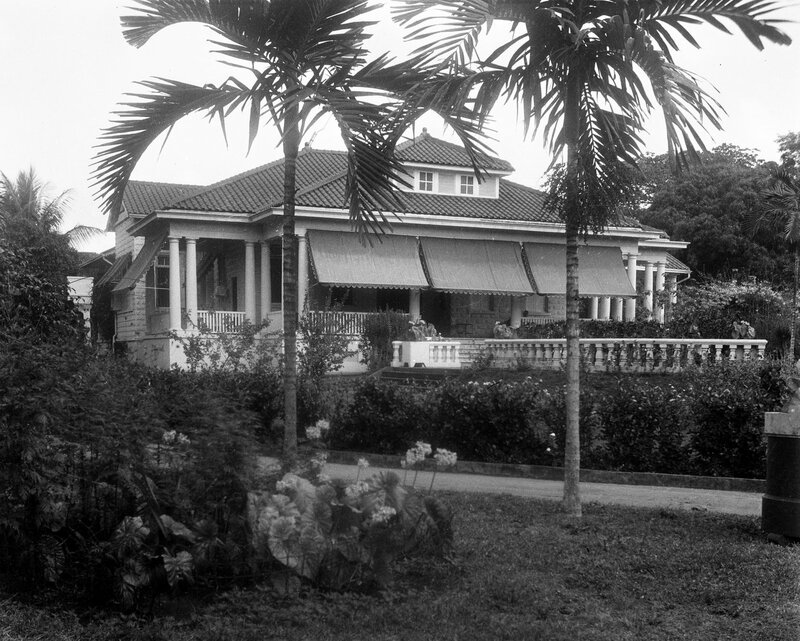 Santo Domingo residence garden front, 1956.